Welcome to our Ultimate Guide to Goose Deterrence. You are reading Part 3, where you'll get an idea of how to put together a goose deterrence strategy that fits your budget and needs. In case you missed Part 1, head back there to brush up on goose biology, seasonal habits, and government regulations protecting the birds. Did you catch Part 2, where we go over and review quite a few goose deterrence methods? Please note: This guide focuses on Michigan state guidelines and policy, but the info should be generally helpful to anyone struggling with geese in the United States. Now that you know everything there is to know about tactics, you are ready to devise your goose deterrence strategy and put it into action. 1. How many birds do you have? Try to get a number for how many birds you have. This can be difficult to determine because the number isn’t always consistent, especially during the Pond Hopping season [August to Mid-February]. Try counting the birds at dawn or dusk, as that may give you an idea of how many birds are overnighting on your property. If you have a moderate amount of birds (~20 or so), you may be able to get away with a combination of some of the more affordable deterrents if you’ve got the time and patience. Higher numbers of birds usually indicate a very attractive location, so more substantial measures (like border collie hazing, and nest control) would be required. 2. What is your bird threshold? Is there an acceptable number of birds for your property? Some people don’t mind a few birds hanging around, others want them gone completely. Figure out how many you would be comfortable with. This number will help you determine how aggressive your strategy needs to be. If you don’t need results immediately, see if you can get the birds within your desired threshold with low cost or non-intrusive methods first. 3. Who are the stakeholders? Are you the only one dealing with the goose problem? Do other people nearby suffer from the goose presence too? It sounds like you might have a common cause! Neighborhoods are often run by Homeowners Associations, Condo Boards, and Lake Associations that pool resources to take care of problems just like this. Businesses often rent space in the same corporate park. More people affected may mean that you have a bigger budget to tackle your bird problem. 4. How much water is available? Geese prefer having a lot of water that they can use to land on safely and swim away from predators. If you have a giant body of water nearby, or several smaller bodies of water, the birds will have a strong draw to your property, meaning your bird problem won't go away easily. If you have only 1 or 2 small bodies, you might be able to try techniques like stringing waterfronts and chemical deterrents. 5. How much green space is available? Geese also prefer wide open green space for grazing, visibility, and easy landings. The more green space available, the stronger the draw to your property, meaning you will have to consider more substantial solutions. 6. Are there attractive areas nearby? Check Google Maps or drive around your neighborhood to see if there are any properties nearby that also have a goose problem. It’s very possible that a nearby attraction could be or will serve as a home base to the birds currently onsite. If your birds know that they have a safe haven nearby, it makes grazing on your property more attractive, making it difficult to get rid of them entirely. 7. Is anyone feeding the birds? In public spaces, it’s very common for people to feed the birds during the day. Some people buy day-old bread and spread it around; other people actually purchase bags of bird feed and scatter it. It is extremely difficult to discourage geese that have a free buffet every day. One easy way to tell if the birds are being fed is to approach them. If they respond to your presence by walking up to you, it’s very likely that they’ve been trained to expect food from people. To discourage the feeders, you will need to either: speak to them directly, or talk to your local municipality about existing feeding prohibitions or to express interest in creating one. Once a local ordinance is established against feeding, the Michigan DNR can take steps to discourage feeders. People will also put out less feed once the geese are hazed from the property - if there are no geese people don’t see the point in putting out food. Now that you have an idea of the number of birds, the environmental factors (greenspace and water), the challenges (nearby attractive areas, people feeding the birds), your bird threshold, and nearby stakeholders, it is time to put together a budget. Your budget should cover how much money you are willing to throw at the problem, as well as the number of man hours available to you. A goose control service (like Goodbye Geese) is a fantastic option to completely manage your goose problem. 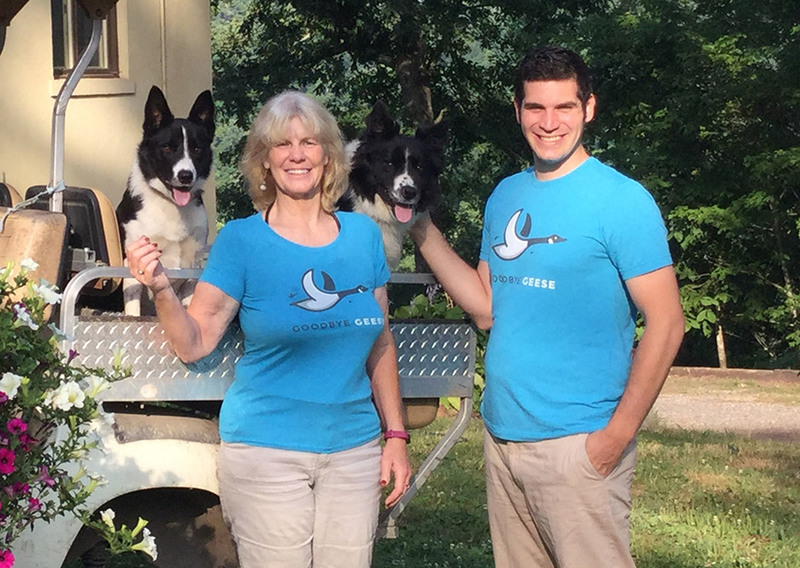 These services typically use border collies to patrol and haze geese on your property. They also offer turnkey egg and nest control services, where they handle the government paperwork as well as all the hands-on stuff. You will see results within the first few weeks. Costs can vary on a service like this. Traditionally most goose control companies insist on visiting your property 7 days a week, at least 2 times per day. A service like this would cost between $1,000 - $2,000/month. In some major metropolitan areas where space is limited for birds (like NYC), the service may run as high $4,000/month. At Goodbye Geese, we typically require a heavy push period (2-3 visits per day, 7 days a week) for the first month at least. After that, we have a variety of options for more budget conscious organizations with a higher goose threshold instead of requiring daily visits. If you represent a government, organization, business, or collection of stakeholders, a goose control service is the ideal solution. A good company will communicate often and offer monthly reports on goose activity. It’s possible to purchase a trained border-collie to deter geese on your property. You still get the valuable benefit of border collie on site. This option becomes more cost effective when you have multiple locations to police. It is a natural fit for large golf courses with multiple bodies of water. 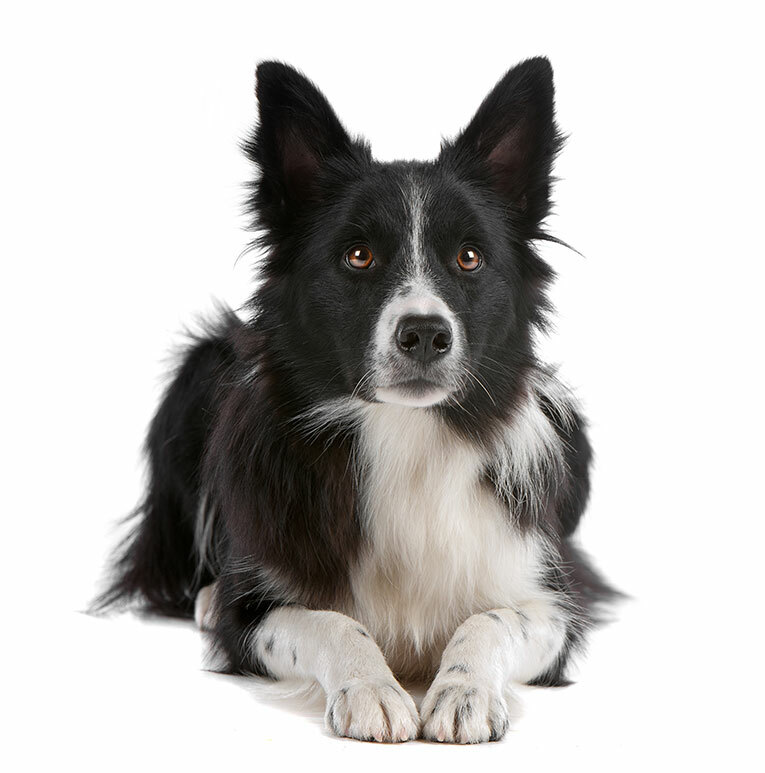 While extremely effective, trained border collies are like finely tuned instruments. If they are mishandled, they could become untrained or even a nuisance. You will need to make sure that you have a skilled handler on the payroll, otherwise your investment in a trained border collie could spoil. This, of course, brings on its own cost (in both time and money). We know of one goose dog that was purchased by a golf course that gradually became untrained and would dig holes around the golf course, eat people’s lunches from the back of golf carts, and bark at golfers. The dog was given away. Another aspect to consider is that, without consistent work and exercise the dog will become bored and rusty at working birds. With chronic boredom comes neurotic habits that are hard to break. Sometimes, a current resident or employee will offer to haze the birds with their own dog. While it may seem like a cost effective alternative, keep in mind that in order to have a strong enough presence (2-3 patrols per day), this person would need to be properly incentivized. If they only haze the birds when they have the spare time, and it’s not done on a set schedule it’s likely the birds will not completely relocate. Also, if their dog is not properly trained, it may maim or kill a bird, creating a significant legal liability for you. If you’re looking to purchase your own dog, we can help! By this point you may have some idea if the other goose control methods might work for you. You will find better results with the alternative goose deterrence methods if you have limited waterfront and green spaces. Just be wary of buying ineffective products (like decoys) as that money won’t get you any closer to being goose free. Always remember to read product reviews! The Michigan DNR recommends trying a combination of goose deterrence methods for maximum effect. If at first you don’t succeed, don’t be discouraged. Keep trying new things and you may find the right combination that works for you! Now that you’ve got your goose deterrence plan locked in, it’s time to put it in motion! If you’ve decided to try Nest Control or a Goose Roundup in Michigan, you will need proper permits from the Michigan DNR. To learn more about what you need to do, check out our guide here. If you have any questions, or need some advice on your current goose problem, we’d love to chat! Are you not within our South East Michigan service area and need a recommendation for a local goose control service? We can do that too! Looking to buy your own goose dog? We can recommend some good trainers! 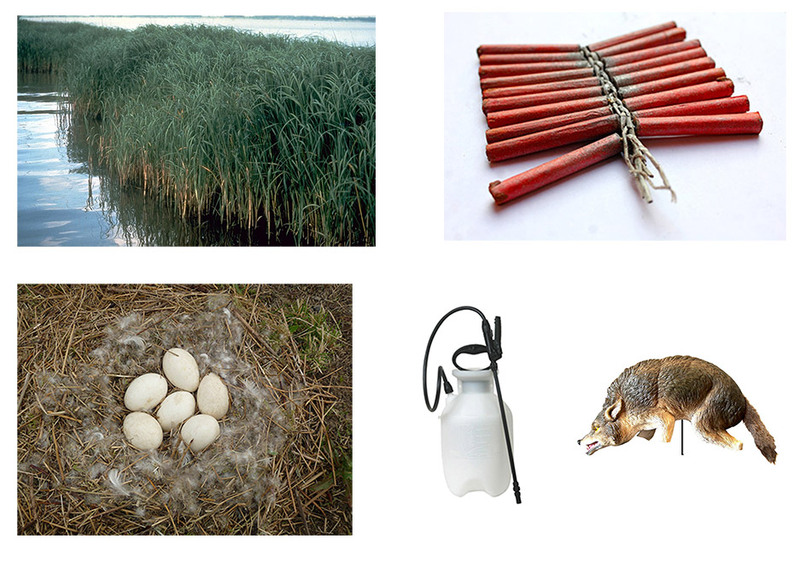 By now, you should be ready to put together your Goose Deterrence Strategy. In case you missed it, dont forget to check out Part 1 to brush up on goose biology, seasonal habits, and government regulations protecting the birds. 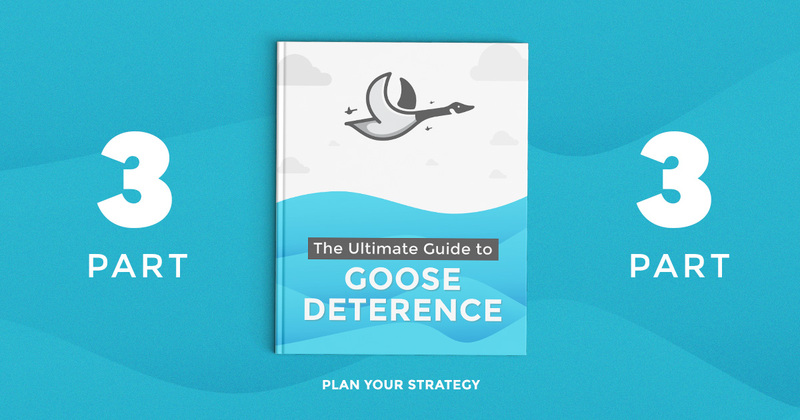 Did you catch Part 2, where we go over and review quite a few goose deterrence methods? If you live in Michigan and have a goose problem, we'd be more than happy to help you out. We use trained border collies to haze geese off of your property. Check out our homepage for more info about our service!